FastMark, Inc. was founded in 1994 and is based in Palo Alto, CA. It publishes healthcare guides for healthcare providers and pharmaceutical companies for distribution to consumers and medical professionals. Many of the publications utilize a patented design that provides the durability of lamination and the flexibility to lie flat – both when folded and when in the open position. 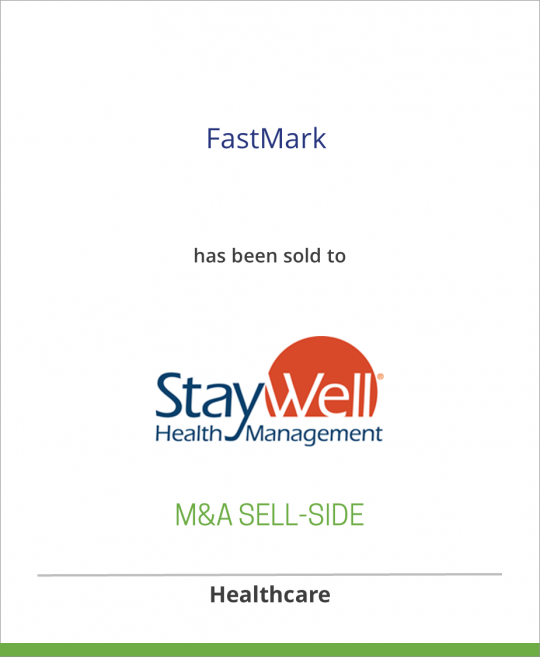 FastMark has two major lines of business in healthcare publishing – FastGuides™ and Quick Coders. FastGuides are 12-panel, laminated, folded pamphlets addressing various aspects of healthcare for consumers. The company currently publishes 30 English-language and 20 Spanish-language FastGuide titles, as well as four Magnet FastGuide titles and four PosterGuide titles. The company’s clients are primarily hospitals, managed care organizations, pharmaceutical companies, military health promotion offices, and the employee-benefit operations of major corporations. Since 1978 StayWell Health Management has focused on the health management needs of large employers for single-site, single-product solutions, for comprehensive, custom-designed, nationally delivered programs. StayWell is a MediMedia USA company. MediMedia is one of the world’s leading providers of healthcare communications, educational materials and services. MediMedia’s mission is to connect pharmaceutical companies, healthcare providers, medical professionals, and consumers by delivering timely, targeted healthcare information through the most efficient and appropriate channels. MediMedia is the first truly global healthcare communications company for the 21st century.